In order for your users to redeem a coupon and gain points, they need to be logged in on your website and use the mycred_load_coupon shortcode. In order for the mycred_load_coupon shortcode to work, you need to first setup the error and success messages your users are shown when using the shortcode. You can find these settings in your main point types settings page. 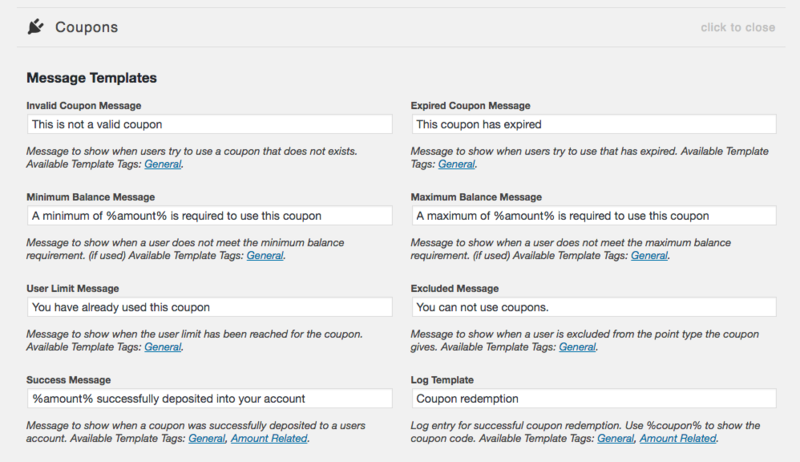 Remember that all fields must be filled in for users to be able to redeem coupons!